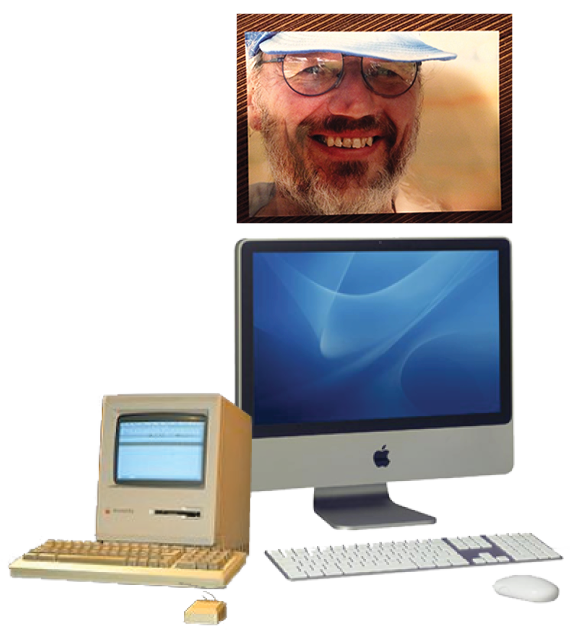 I started as a foot soldider in the Desktop Publishing Revolution, publishing Mac Simpson’s Whalesong in 1985 ~ the first desktop published book. I’ve been working with Macintosh computers, offering sales, service and repair, ever since. I began my Apple journey with a Mac Plus model that featured a whopping 1mb of power! Next came the Mac llci and Power PCs from 6100 thru the 9600. During the entire journey I learned the culture and creativity that is Apple and grew with the movement that is the MacCommunity worldwide. 0ver 9000 happy island customers over the last quarter century. I’d be honored to serve you, too!